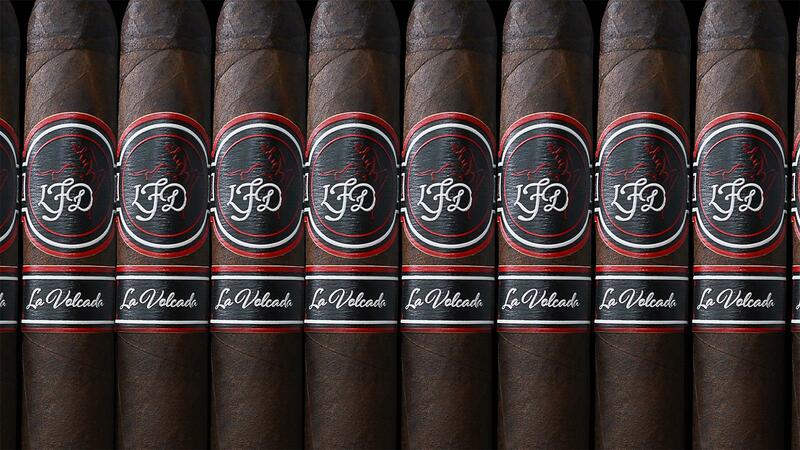 When La Flor Dominicana released the La Volcada brand in 2017, it only came in one size: a 7 inch by 48 ring gauge Churchill. Next year, La Flor will be adding a small corona size to the La Volcada line. It’s going to measure 4 1/4 inches by 32 ring gauge, and packed in tins of six, but prices have yet to be determined. La Volcada is covered in a dark, Mexican San Andrés wrapper with a tightly coiled cap. The filler tobacco is all grown on Litto Gomez’s La Canela farm in the Dominican Republic, while the binder is a leaf of Ecuadoran Corojo. The new size will not have a pigtail cap. La Volcada refers to a tango dance step of the same name. The cigar band shows an illustration of dancers gracefully performing the volcada.